This is an excerpt from my book The History of the Kurdish Settlement in Assyria. 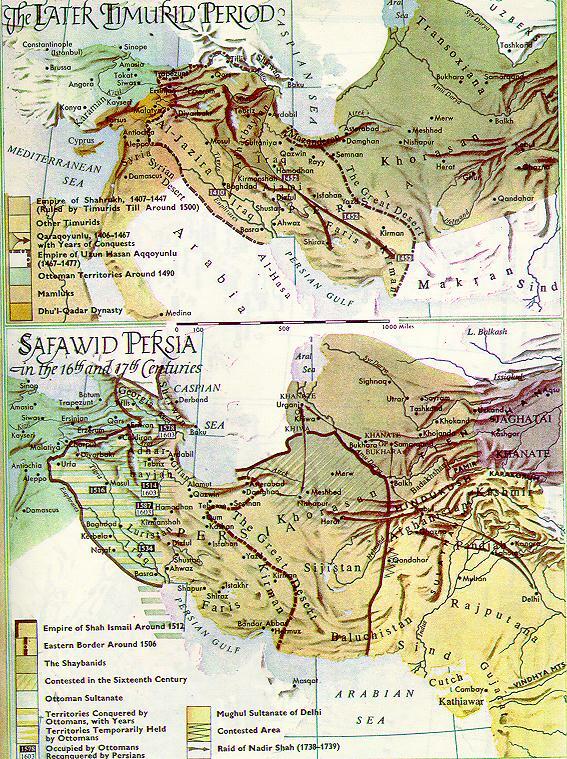 This article will attempt to disprove claims of a substantial presence of the Kurdish people in Mesopotamia prior to the Battle of Chaldiran of 1514 between the Ottoman Sultan Salem I and Ismael Shah of Persia. In this paper I will not follow the sequential order of the Kurdish settlement in Assyria, from its very beginning to the present-day. Rather, I will concentrate on claims of the existence of the Kurds in Mesopotamia from early times and providing Tikrit, the birthplace of the famous Salah in the 12th century, as authentic proof of such claims. 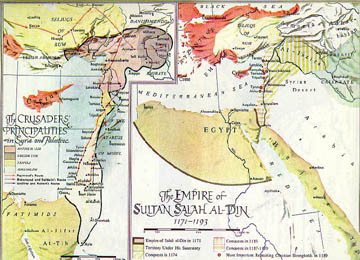 No doubt that Salah al Din became a legend in the East and West for his role in cleaning the western parts of the Fertile Crescent from the dirt of the Crusaders. His capture of Jerusalem, and the Muslim triumph, which followed, gave him a remarkable place in the pages of history. Thus, when ordinary people remember this Kurdish individual, they associate his name with that victory, which he had made. But not many cared to research in the text of history books to understand first; the man, and second his background. Thus, because his fame was so widely spread that this area has hardly been addressed properly, even by scholars such as Dr. J. Joseph. If he had, then he would never have made his statement above. In this brief paper, I will present the facts as they have been recorded mostly by Muslim historians, who wrote extensively about Salah al Din al Ayubi, in the form of his biography. Salah al Din is the grandson of Shathi, who was a native of a village called "Doween" located, as the historian ibn Khalkan states, in the region at the extreme end of Azerbaijan (1). Yakut al Hamawi, wrote about the name "Doween" stating that: "it is a small town in the district of "Aran" in the neighborhood of Tiflis, the Georgian capital" (2). The famous historian ibn al Atheer, speaking about Salah al Din and the origin of his family says, that they are from the "Zawwadieh" Kurds, and from the same place as other historians mentioned (3). Shathi during his stay at Doween had a very close friend by the name "al Mujahid Bahruz" who was a white slave, and famous for his style of life, deeply involved in pleasure, and other things. Bahruz was caught having an affair with one of the Amirs of Doween's wives. He was severely punished by his master who castrated him. This obliged Bahruz to leave the place from the shamefulness which he had suffered for his folly. The destination of Bahruz, the close friend of Shathi, was the court of the Saljuk king "Ghiyath al Din Mohammed bin Malikshah". There he sought and found employment as a servant. Because of his services and good conduct he was offered a chance at a higher position, which finally enabled him to become one of the court staff. Bahruz did not forget his old friend Shathi who summoned him from his village "to see the prosperity and the prestige, which he reached, and to share with what God bestowed upon him" (4). Thus Shathi joined his old friend. While Shathi and his family were under direct care of Mujahid al Din Bahruz, with his two sons: Abu al Shukir Ayub (Salah al Dins father) and Asad al Din Sherkowa, the Saljuk king decided to appoint Bahruz as governor of Baghdad and as his representative there. Once again he did not forget his friend Shathi and his family and took them with him to Baghdad. 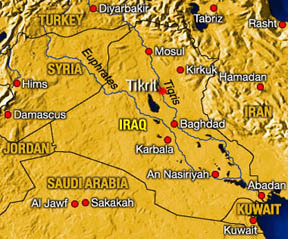 While at Baghdad, the king further trusted Bahruz with the Castle of Tikrit. Bahruz found it suitable to appoint Shathi in the capacity of "Dazdar" which means the guardian of the castle of Tikrit. Thus Shathi moved with his family to that city. During the period which Salah al Din's family settled in Tikrit, Shathi died there and his post was given to his elder son, Najim al Din Abu al Shukir Ayub, who was assisted by his brother Sherkowa. 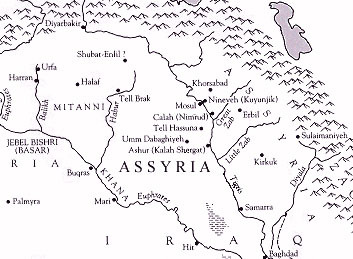 During this time chaos was engulfing all the regions of Mesopotamia, but mainly the upper regions. Wars between the previous invaders who were able to settle and establish centers of power for themselves, here and there, were inflamed everywhere. Each city lord was attempting to enlarge the area under his control and to seize as much as he could, to loot and collect a large number of Harems from the peaceful indigenous inhabitants of the country [see al Thahabi, al'abar, Vol. 2, 300]. Imad al Din Zanki at this time was occupying Mosul, and much of its surrounding regions. His attempt to capture Baghdad from Bahruz was a disasterous one, and he was obliged to retreat back to Mosul with severe wounds. He passed by Tikrit, and he was received with courtesy by Najim al Din Ayub (Salah al Dins father) (5). On this occasion we are told by the Damascus historian ibn Katheer that Zanki, the enemy of Bahruz, (the good-hearted friend of Salah al Dins family), spent fifteen days under the immediate care of Najim al Din Ayub curing him of his wounds (6). While ibn Khalkan says that he built for him ships by which his followers were able to cross the river and to join him (7). Bahruz, the governor of Baghdad was outraged when the news reached him of the collaboration which took place between Salah al Din's family - as he was always so generous to them when they were poverty-stricken- and his enemy Imad al Din Zanki. However, he did express his anger in a very courteous manner. He addressed them by saying: "your father was impartial to me. We were bound together by kindness, and I cannot punish you, but I would like you both to leave Tikrit, and find another place to make your living". This was compounded with an event by which Sherkowa killed a Christian native of Tikrit (8). 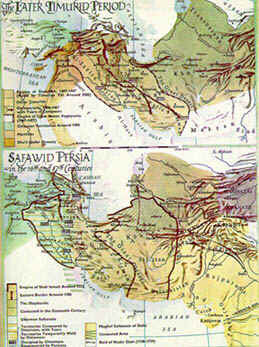 Thus, the family was ordered to leave the territory which was under Bahruz' administration. In the same day they left, Salah al Din al Ayubi was born, and the family considered that as a bad omen (9). The destination of the family is known, it was just a short time ago that they had offered their services to Zanki. Thus they headed to Mosul to join the swordsman Imad al Din Zanki, who was the prime cause for their expulsion from Tikrit, and no doubt he would welcome them for their services. At that time, Mosul was under the rule of Zanki and it was considered the best place to start a new life as a fighter, since Zanki's troops were involved in daily raids in the north-west regions of Assyria, attacking the unarmed Assyrian cities, towns, and villages. (2) Yakut al Hamawi, Maajam al Buldan. Beirut, 1990. Vol. II. 558. (3) Ibn al Atheer, al Kamil fi al Tarekh. Vol. 10. Beirut, 1987. 17. (4) Ibn Katheer, al Bidayah Waal Nihaya. Vol. 12. 291. Ibn Khalkan, vol. I. 256. (5) Groggy Zaidan, al aamal al Kamila. Vol. 12. 412  415, 464  467. (6) Ibn Katheer, vol. 12. 291. (7) Ibn Khalkan, vol. VII. 143. (8) Ibn Khalkan, I. 257. (9) Ibn Katheer, 12. 291.